Looks good and the forecast is stacked for the week. 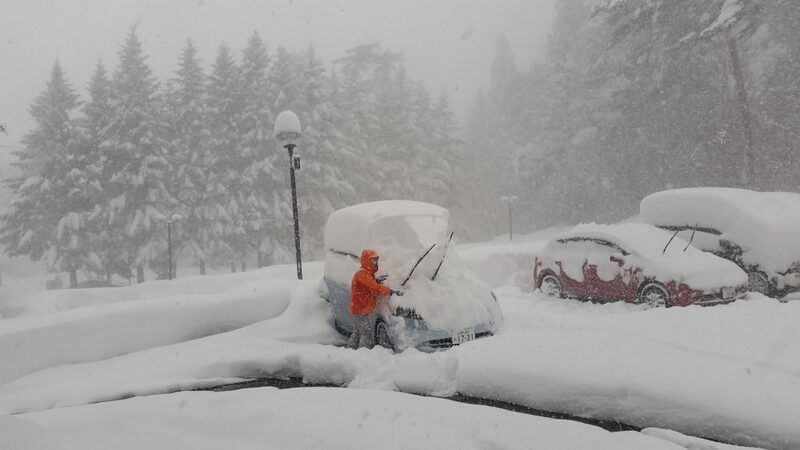 We took a trip up to Kiroro yesterday as they were reporting more snow than Niseko. The Gondola and top Asari lift weren't running in the morning due to wind so it was a bit frustrating. It was the deepest, most perfect snow I've ever seen but I couldn't really find a sustained pitch to ski it. Lots of poling. It was still great, but a bit of local knowledge would have done the trick I would guess. It's not as obvious a mountain as Niseko or Moiwa. We were back at Hanazono today and it was a new best ski day of my life. It was surprisingly quiet and we had face shots all day. It blasted down throughout the day and the tracks from the morning were close to completely filled in after lunch. I cleared about 6 inches of snow off the car that had fallen through the day when we left at about 2pm. The car is well covered again at 6.30pm. We're moving on to Otaru tomorrow and the forecast looks good. Yeah Kiroro isn't obvious at all. Try it again on the way to Otaru, or go over Nakayama Toge to Jozankei and then cut back up to Sapporo Kokusai. I suspect we will head back to Kiroro at some point this week@Mike Pow, also hoping to get up to kokusai, cheers for the tip. Niseko was too perfect this morning to leave though, so we bought short tickets and hammered it for a couple of hours, before having an onsen in Kutchan and driving to Otaru. Perfect day. I'm running out of words to describe how good the snow was. It was blasting overhead constantly on anything with a bit of gradient. Unreal. When they finally open the gates it will be pretty special. Taking the day off tomorrow as it looks like wind might affect things and we're a bit wrecked. Monday is looking good though! @element, Thanks for the reports, sounds excellent! 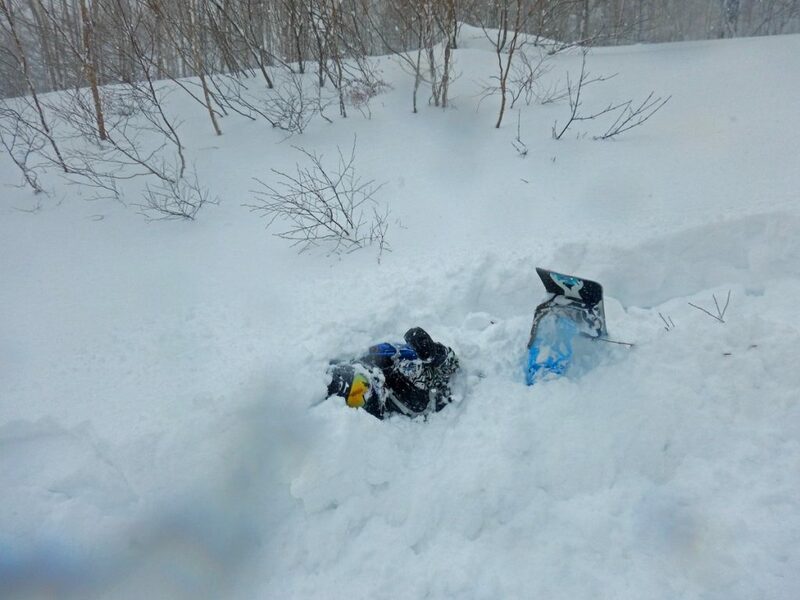 2 weeks and 5 days until I'm hitting the powder in Hokkaido. Forecast looks very cold (and snowy) for at least the next 10 days. Honshu has been getting its first big snowfall of the year too, the last few days. Good choice. Never leave a storm. Don't discount Otaru Tenguyama and Asari. Especially mid-week. Both steeper than Niseko or Kiroro. Teine has the most advanced terrain in the area but also the most advanced skiers. Looking around the mountains znd restaurants I've been surprised by how few Westerners are around. It's like it was 8-9 years ago. @musehead, shaping up nicely! @Mike Pow, The steep section on Tenguyama is shifting in and out of view through the squalls from my hotel window here. It looks great. There's nearly too much choice from Otaru, but it's a nice problem to have. Driving into the city in a blizzard was also remarkably easy. Drivers are very considerate and the sat nav via phone number makes it a breeze. Gonna do a bit of sightseeing in Otaru today - local beer and sushi seem to be the big draws, which is fine by me. @Daishan, epic, it seems to me like Honshu gets the bigger dumps but Hokkaido is a bit more consistent. Yesterday in Otaru was fun. Had a look at some music boxes in the music box museum which was surprisingly interesting, then had coffee in the Kitaichi Hall glass factory. It was a bit pricey but a pretty spectacular building inside with wooden beams and gas lamps everywhere. We had seafood for lunch in one of those charcoal cook it yourself places by the canal, then had a few of the Otaru brewery beers. The 8.5% Dunkel Bock did the trick. Finished off with whiskey tasting at Bar Rita. Otaru gets 5/5 from me. We took another chance on Kiroro this morning and met a really sound guy in a Kiroro outfit who gave us a few pointers. There was about 20cm at a guess of slightly heavier snow than the last few days, but it was awesome. Managed a single face shot in the powder zone, and had 3 or 4 excellent untracked or barely tracked runs. 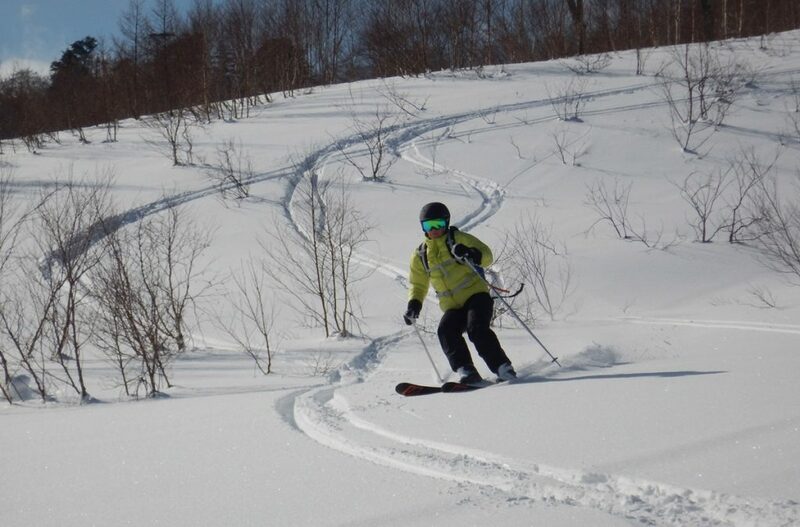 We skied Asari yesterday and Kokusai today. We rolled up to Asari mid morning a little the worse for wear and expecting very little. It was an absolute gem. Quiet, nice steady gradients with a few steeper pitches, and really good value. I wouldn't go there for a proper gnarly powder session, but we found small pockets of beautiful snow and the pistes were fun. There looked to be some decent tree runs which were banned of course, but we didn't push it as we were the only westerners there and found ourselves wanting to be respectful. It was a nice change of pace from Niseko and Kiroro. Kokusai was absolutely bunged, presumably because of the Japanese New Year holiday. Saw a few Aussies and Americans, but it was primarily Japanese families. There were a fair few Japanese powder chasers out and about too. Again, there were plenty of 'keep out' signs and ropes. If you were brave, there was endless powder under the Gondola, but also some cliffs and uncovered rivers. We kept to the unroped areas and it was incredible. They reported 20cm overnight of the lightest, driest powder I have ever experienced. It just billowed and flowed all round you even at low speed on shallow gradients. We've been absolutely ruined on this trip with the conditions. So far 8/8 for powder days, with over the head conditions on most of them. Can anyone give me some advice on Hakuba. Definitley all over Hakuba Cortina for the skiing, however sounds like it's pretty detatched from any civilisation. Yes. For an average year I've been enjoying above average skiing. Just arrived to Champoluc IT, village is all icy, wonder what slopes will be like up the mountain ... but no fluffy stuff that you enjoy for sure. Would love to try skiing in Risutsu next year! Fingers crossed the conditions improve for you. Let me know if you make it back. Rusutsu is excellent. @Mike Pow, fantastic shots as usual. Our last two ski days were a little anticlimactic after the first 8. Tenguyama was a decent area but the main run was closed and there was only a dusting of new snow. There was noticeably less snow in the trees than all the other areas we visited and it looked a bit treacherous with rocks and stumps, so we didn't bother. Again, some nice runs to be had on a powder morning though I would guess. We visited Teine for 2 hours on the way to the airport. On the drive up to Highland zone you're looking straight at a pretty impressive face under the towers. The terrain is accessible from a gate but we didn't go out it as we didn't have time or the necessary equipment. It looked really inviting and steep though, as others on here have said. There were a lot of kitted out powder skiers heading out the gate, noticeably more than at anywhere other than Niseko. 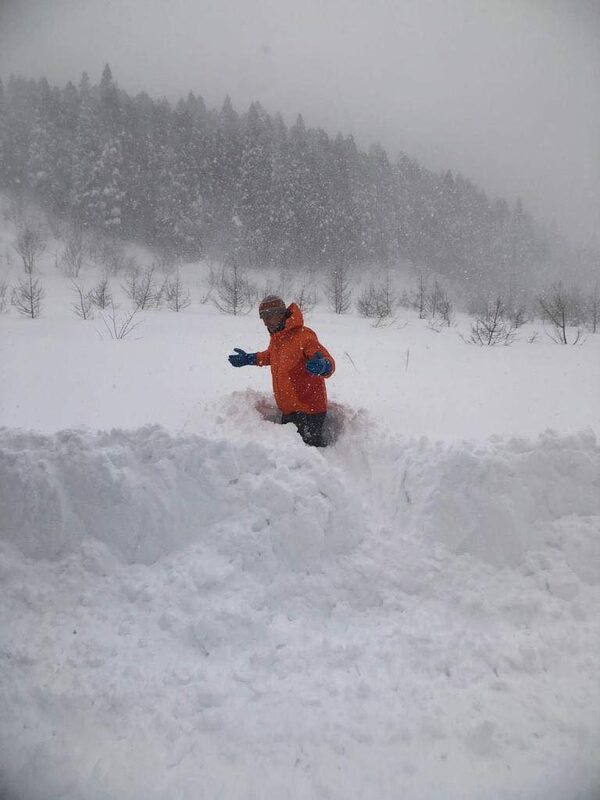 We're currently experiencing the yin to the yang of skiing in Hokkaido - Chitose Airport closed due to snow and our flight was cancelled. As it was the busiest weekend of the year, everything was already booked up days ahead and they announced they would not be putting on any extra flights. We're in an airport hotel for the next 3 nights, after a night on the airport floor. Our cheap hotel has a decent onsen though, so I'm sure we'll manage. Definitely worth checking the weather if you're due to fly from Chitose though and rearranging if necessary - lesson learnt. Carefull when Chitose opens again - there have been kind of riots before to get on planes - not all are used to nature governs the area . @Idris, looks fantastic and less than two hours from Tokyo on the Shinkansen. This might be my venue for March. Plenty to do in the area? Sorry DJL, the cat turns back into a pumpkin at the end of Feb. Yes there is plenty to do in the area, but most things tend to run out of steam in March, you might get lucky with the weather, 2 years ago we had a late start and things were still going strong in April! @Idris, I think I misunderstood what you were doing. Re-reading the thread and the Cat Skiing Japan one makes it a bit clearer. I just liked the look of the snow rather than trying to bag a Cat skiing trip! Will continue my research in the Nagano / Niigata area. @rogg, enjoy and keep us posted! So the update is 1:30 isn’t a lot to get from T2 to T5, especially if you spend 12 minutes to get off the first plane. Tokyo (HND) airport is extraordinarily efficient. The choice of food has come as a culture shock. I just ate a ‘half and half’ bagel. Not a clue what was in it. Customs on exit of the baggage collection then demanded that every ski bag was opened, then only gave each a casual glance. We then had to queue for baggage check in, then because the internal bus had already stopped, find the station and get the internal train to the domestic terminal, then through security again, then run the entire length of the terminal, arriving as boarding was almost complete. Amazing images...wish we were there, Ant and Shannon turn tomorrow. We have to put up with powder in Switzerland! Not too bad. Hope to bump in to them. I've been in Furano for three days now. One day bluebird, one day overcast then flickering with snow. Then snow overnight. Awoke today to 15cm in the village , knee deep on piste with waist deep plus in the trees. Sun out for an hour or two then it started snowing again. Forecast to snow every day in the next week. Can't be bad. Great place, great food, just really good. Worth the trip for sure. Any wind? Blowing a gales in SW Hokkaido. Top lifts closed today - Thursday 17 January - but lower mountain delivered.